Harness the power of cash—yes, actual dollar bills—to keep your budget on track. A credit card bill here, a visit to the dentist there, a night out with friends and … it’s the end of the month and you’re out of cash. Sometimes that’s all it takes to knock a budget off track. If this happens too frequently, you might consider a budgeting approach that involves more than pen, paper and willpower: the envelope method. The envelope budgeting method is all about setting aside cash (yep, actual dollar bills) to pay for expenses in different budget categories. Start with your fixed costs, which include bills that stay the same month-to-month (think rent or mortgage, insurance payments and car payments). Next, consider expenses that change every month, including groceries, transportation, entertainment, clothing and utility bills. For certain variable costs — like utilities — you can estimate how much you’ll spend based on last year’s bills. 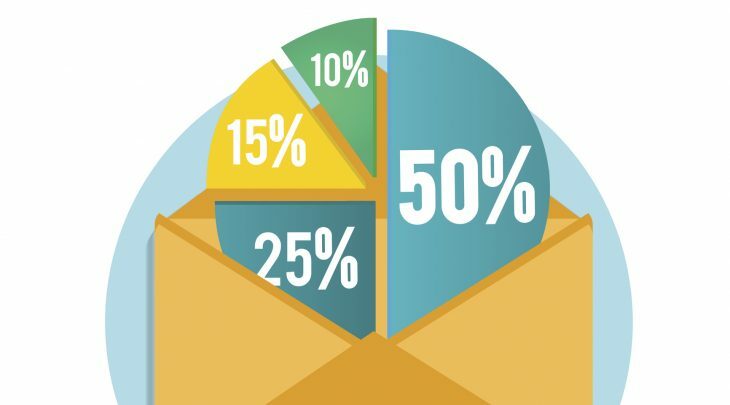 Consider a budgeting approach that involves more than pen, paper and willpower: the envelope method. Got your list of monthly expenses? Check. Now it’s time to decide on reasonable limits for next month’s variable costs. Decide on areas where you may be overspending. For many people, the easiest places to cut tend to be grocery shopping for the family, eating out at restaurants and entertainment. Whichever budget areas cause you trouble, choose spending limits for each with the goal of spending less in the months to come. As the new month begins, go ahead and pay your regular, fixed bills with check, debit or online bill pay. Keep in mind, you should only pay “regular” bills that rarely change with these payment methods. After those bills are paid, it’s cash all the way. It’s time to put the envelope system to work. Withdraw enough cash to cover each budget category, and separate the money into envelopes. For example, you may start the month with $600 cash in your grocery envelope, $200 in a transportation envelope, $100 in an eating out envelope and $50 in a “treat yourself” envelope. Here’s where the rubber meets the road. As the month progresses, limit your spending to the cash you have inside each envelope. As the weeks roll by, you’ll get in the groove of spending less money each time you shop and looking for ways to cut back to stay within your envelope budget. If you find yourself with only $100 left for groceries mid-month, for example, you’ll have to get creative to stretch your groceries envelope until the end. Maybe you’ll look for deals and discounts at the store, or raid your pantry for forgotten ingredients you can use to make a home-cooked meal. Whatever works — and whatever keeps you under budget — is your best move. Estimating your expenses can be hard when you first start out. It’s totally understandable — and normal — to adjust your budget based on your level of success. After using the envelope budgeting method for the full month, you may decide to raise or lower your spending thresholds in certain categories. Budgeting isn’t an exact science, after all. It’s an art that can take months, or even years, to perfect. But you’ve got this.